The Thirst Ranger brings all the subtlety of a swift kick in the pants. From the first sweet sip, you’ll find the tastes of leather mingling with peaches. And why not? Nothing can hold back a kolsch brewed and rested in the heat of summer. Drink the sweet kolsch of justice, and you might find yourself enjoying the flavors of a summertime sunset. 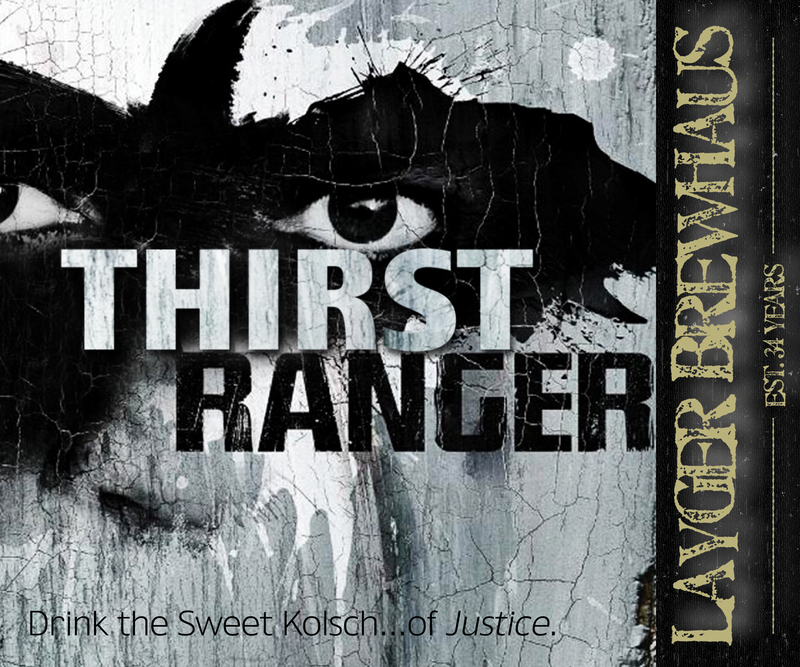 Drink the Sweet Kolsch…of Justice. Like any German beer, the ingredients for this beer follow Reinheitsgebot. Kölsch typically uses German pilsner malt and/or pale malt. Some recipes use wheat malt or Vienna malt, but it is less common. Wheat malt is not common in the commercial versions of the beer, but shows up in many homebrew recipes. Most Kölsch recipes use Spalt hops, but other German noble hops (Hallertau, Saaz, Tettnanger) can be used. The beer uses very soft water and is often lagered for a month after fermentation. Here’s the recipe I use. This is a 90-minute boil for the grain/malt extract. Boil the hops for 60 minutes. The hops are bittering only; Kölsch should have little to no hop flavor and no hop aroma. Ferment the wort at 60°F (15°C) until fermentation is complete. Then lager for 2-3 weeks at 33 deg F.
If you are bottling, you can use dry malt extract as your bottling primer. Boil 1 ¼ cups of light dry malt extract in 2 cups of water for 10 minutes. Add to the keg, agitate, then bottle. If you are kegging, carbonate the beer to 2.5 volumes. This beer is great for those hot summer days. I’ve even heard it referred to as the “lawnmower ale”. The traditional serving glass for Kölsch is a cylindrical 200 ml glass called a stange (pole). The serving temperature should be cellar temperatures (50°F/10°C).